Live, work, and play on the Mediterranean! The Hillel Onward Israel program in the bustling start-up city of Tel Aviv offers you the opportunity to develop your professional future and build your resume through a high-level internship tailor-made to you! The heart of our program is a resume-building work experience based on your skills, interests and future plans. 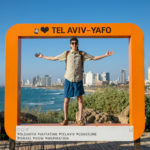 You will also have the chance to connect with Israeli peers through Hillel’s vast Israel network. 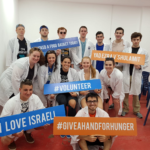 Due to high demand, applications for Hillel Tel Aviv Summer 2019 are now closed.